This statistic presents the share of U.S. e-commerce as percentage of total shipments, sales and revenues in 2016, sorted by sector. 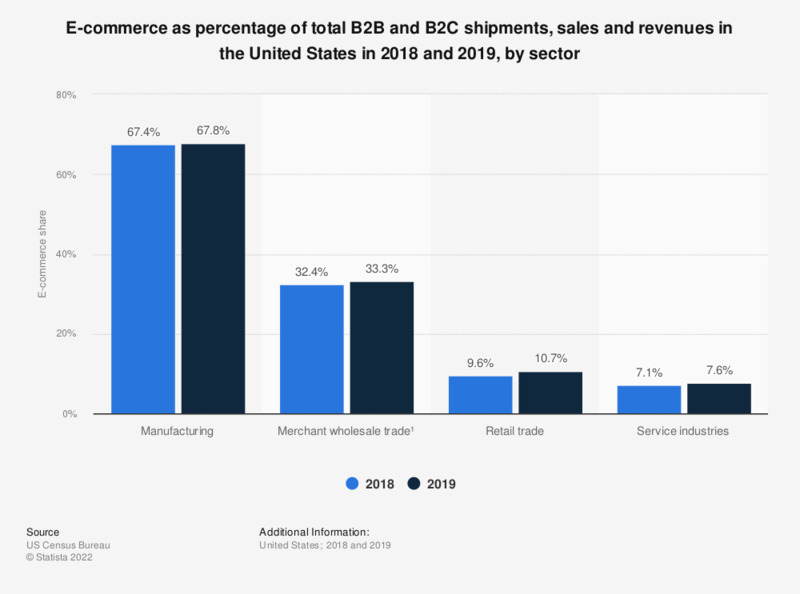 That year, e-commerce accounted for 64.8 percent of manufacturing shipments in the United States. Online sales also accounted for 8 percent of retail sales revenues in the United States.